The streets of Valletta are flooded with music of talented artists who captivate people going about their business whether they’re tourists, people out shopping and others on their lunch break. One of these musicians is Szilárd the pianist who is featured in the Valletta 2018 video ‘Valletta is My Orchestra’ . You’ve probably seen Szilárd wheeling his piano around Valletta or playing it at Pjazza Regina, with crowds of people close by watching on. During his stay in Malta, Szilárd has also built up quite the collection of pianos. 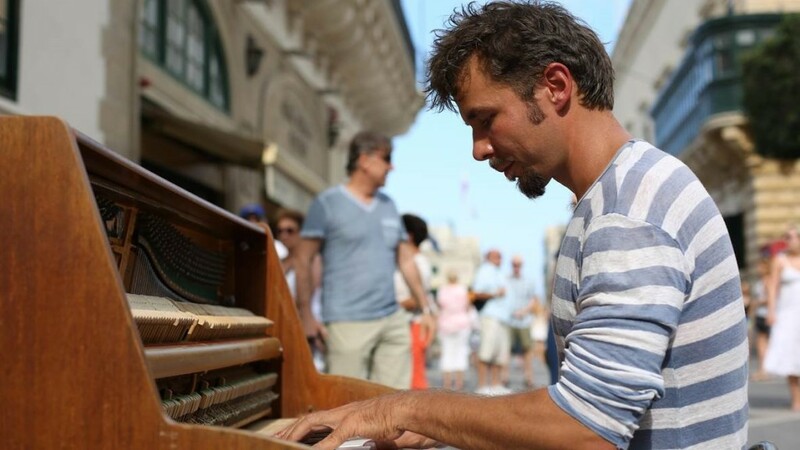 The one he rolls into Valletta every day is his third which he purchased from a piano shop in Żebbuġ. The first two were off Maltapark. Szilárd will continue to play in Malta for the foreseeable future, lending his musical talent to the streets of our capital.